The Galaxy Note 8's Rear Dual Camera Setup Allegedly Features In Live Image; Is That A Fingerprint Sensor Beside It? The Galaxy Note 8’s Rear Dual Camera Setup Allegedly Features In Live Image; Is That A Fingerprint Sensor Beside It? 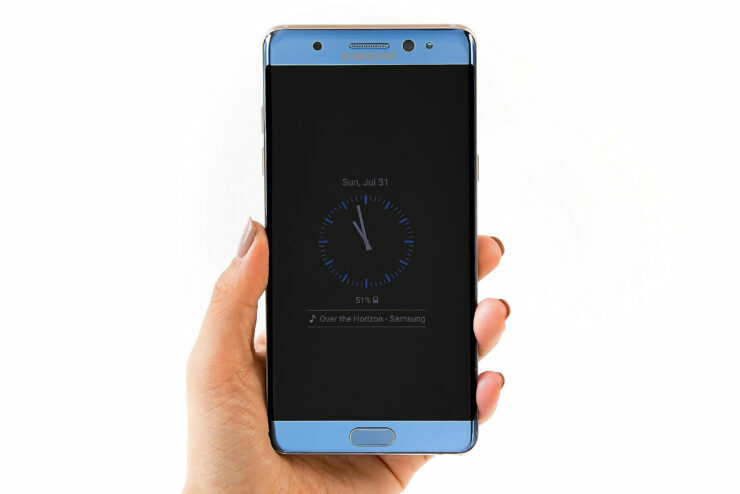 As we’re starting to settle in July, news and rumors related to the Samsung Galaxy Note 8 are speeding up. The Korean tech giant’s got a lot of catching up to do this year, after its fiasco with the Note7. The 2016 phablet came with a good combination of specifications and features. It was also the first device from Samsung to feature an Iris scanner. However, lax quality control features led towards battery malfunctions on the device. Samsung’s had quite a bit of time to learn from this, and has delivered perfectly with the Galaxy S8/S8+. Now it’s the Note 8’s turn. Today, we’ve got some more details for the device. Take a look below to find out more. Despite what might appear to be the case at the front end, the rumor mill is a haphazard place to be. Out of a dozen sources, only a couple turn out to be authentic. What’s even worse is that we often see news related to one device ‘filter’ out to the next. It’s the same phenomenon which led some to believe that the OnePlus 5 will feature a vertical rear dual camera setup, in lieu with similar rumors for Apple’s iPhone 8. Another upcoming device which has also been affected by these rumors is the Samsung Galaxy Note 8. We’ve seen several rumors float around which claim a vertical dual camera setup for the smartphone as well. These include renders as well as some ‘live’ images which depict the phablet in the flesh. However, we’re yet to hear of a solid reason for Samsung to make such a move. Now a fresh image has surfaced, which shows a horizontal dual camera setup for the device. 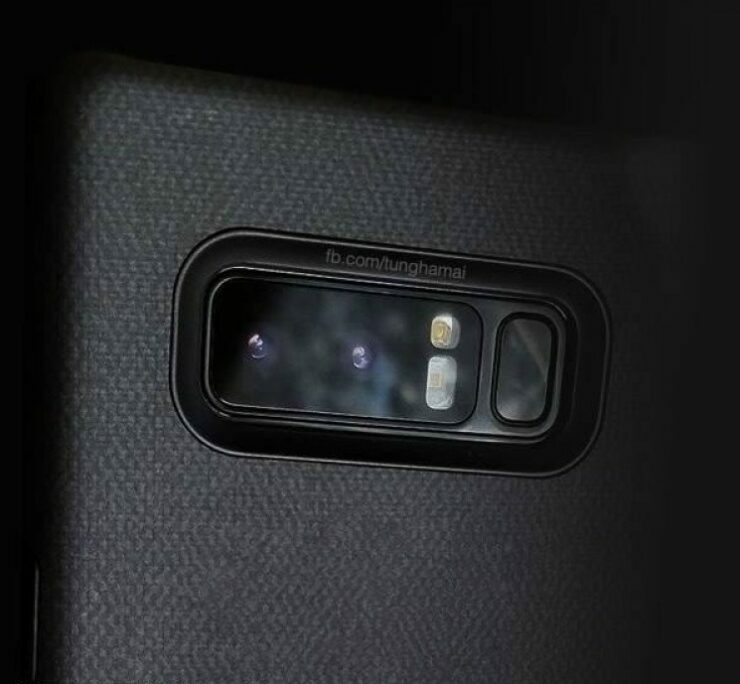 Taking a look at the image above, not only is the dual camera setup for the Note 8 allegedly visible, but we also get to see an additional sensor. It’s most likely to be a fingerprint sensor, although the Note lineup has also feature heart rate detectors in the past as well. If you ask us, it looks too big to be a health related sensor and Samsung will place the Note 8’s fingerprint reader at the back in most likelihood. Other rumored features for the Samsung Galaxy Note 8 include 64GB as base storage, a 128GB variant with and the Snapdragon 835/Exynos 8895 that’s coupled with 6GB RAM. The price tag for the phablet will be extremely high, ranging in between $1000-$1100 according to the latest information. Screen size will be 6.3 inches with bare minimum bezels. Thoughts? Let us know what you think in the comments section below and stay tuned. We’ll keep you updated on the latest.